I think it’s safe to say I am obsessed with lotion, especially since I have dry skin. I KNOW I need to drink more water, and I’m working on that, but in the meantime, I continue to buy and try different lotions. It’s not the worst obsession to have, really. In my quest, I test drove a “wet skin” lotion, which means you apply the lotion–you guessed it–when your skin is still wet. It sounds awkward, but I really wanted to find something that works. Chicago winters can be brutal, and I’m not just talking about the below-zero wind chill temperatures from November through March (and sometimes April–seriously!). The dry, warm air that is continuously circulated throughout my home, stores, cars, offices, etc. 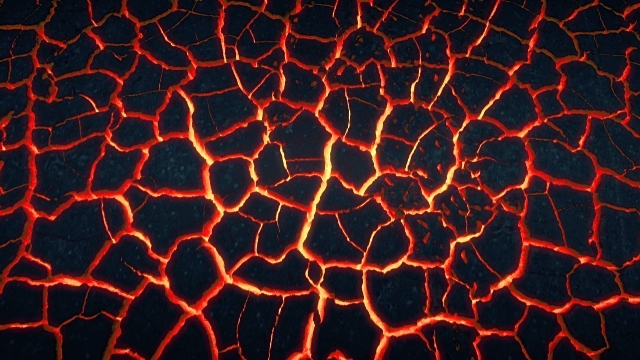 Well, I feel like my skin is the surface of a volcano…all cracked and painfully dry. Lotion and lip moisturizer are my adult security blankets. Jergens Wet Skin Moisturizer (with coconut oil) is one that I have been using for some time now. I LOVE that you apply it immediately after you have finished your shower, while your skin is still wet, and I got used to that pretty early on. Actually, this is considered to be the optimal time to apply moisturizer and receive the most benefit from it. The coconut scent is just right–not too overpowering. It has a smooth application and there’s no need to rinse it off, although I do often have to towel dry a little more carefully before I put on clothes; I’m sure it won’t stain clothing, but this is my way of being sure. I find that it moisturizes my skin very well, although I still use regular lotion along with it (I think that’s only because I have a habit of layering lotion all day). Jergens also has a Monoi Oil scent in the wet skin line, which I have tried, and that is definitely too flowery for me, so avoid it if you don’t care for a floral scent. The third in this line is a calming Green Tea Oil, which I have yet to try. I made an in-store purchase for my Jergens at Walgreens, but only because it was on sale, AND I had a coupon (otherwise I find Walgreens prices just too high) so I paid around $4. You can shop around online or in stores for the best price, but I’ve linked the Amazon page because they’re always competitively priced and this would be a fantastic add-on item. The Nivea wet moisturizer is on my list to try sometime in the future, as I hear it’s longer-lasting and more effective than this one, so I’ll keep you all posted on that! Here is the Jergens website info about wet-skin lotion and also the Amazon link to purchase. Here is the Nivea website info about wet-skin lotion and also the Amazon link to purchase. What are your favorite ways to fend off dry skin? Any favorite brands? We’d love your input! And, for crying out loud, Happy Spring, Chicago! My kids have very sensitive skin and have had bad reactions to even Eucerin which is always the pediatrician go to. Our dermatologist recommended Vanicream. I use it for all of us and love it. I definitely recommend it as a skin moisturizer for those who are sensitive to lanolin, dyes, fragrances, parabens, etc. since it is free from those. But we definitely need it less now……yay spring! Annie, thanks for sharing this. I think a lot of the dryness is sometimes a reaction to an ingredient rather than a product just “not working.” We’ll have to give Vanicream a test-drive! And hooray for needing it less now that we’re (hopefully) turning the weather corner!